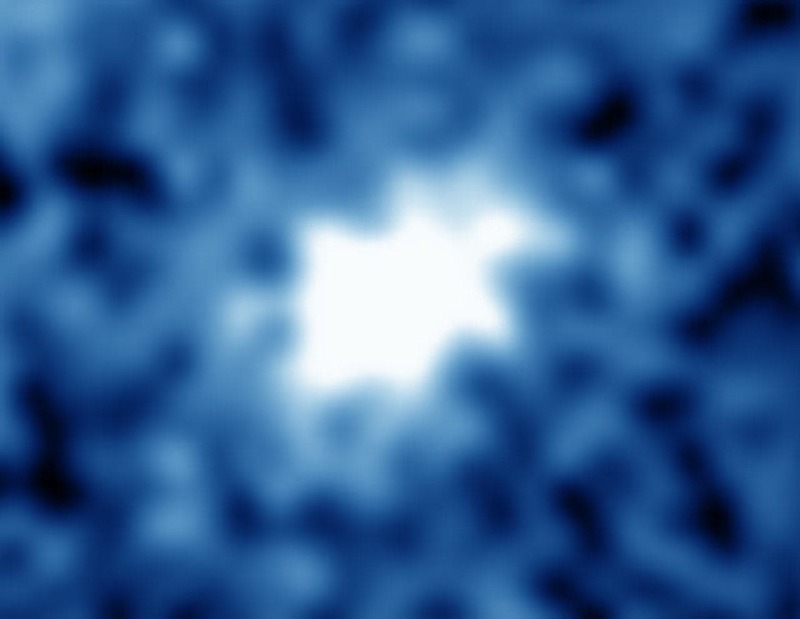 “The quasars observed in the early universe resemble giant babies in a delivery room full of normal infants,” observed Avi Loeb of the Harvard–Smithsonian Center for Astrophysics. “One is left wondering: what is special about the environment that nurtured these giant babies? Typically the cold gas reservoir in nearby galaxies like the Milky Way is consumed mostly by star formation. “It’s a cosmic miracle,” said Volker Bromm of The University of Texas at Austin, referring to the precise set of conditions present half a billion years after the Big Bang that allowed these behemoths to emerge. “It’s the only time in the history of the universe when conditions are just right” for them to form. This past July, astronomers discovered evidence for an unusual kind of black hole born extremely early in the universe. They showed that a recently discovered unusual source of intense radiation is likely powered by a “direct-collapse black hole,” a type of object predicted by theorists more than a decade ago. The accretion theory does not explain supermassive black holes in extremely distant — and therefore young — quasars. Visible to us despite its distance of billions of light-years, a quasar’s incredible brightness comes from matter spiralling into a supermassive black hole, heating to millions of degrees, creating jets that shine as beacons across the universe. Fast forward a dozen years, and Bromm is now a professor at The University of Texas at Austin with postdocs and graduate students of his own. That’s where Aaron Smith comes in. Smith, Bromm, and Loeb had become interested in a galaxy called CR7 shown above, identified from a Hubble Space Telescope survey called COSMOS (in a paper led by Jorryt Matthee of Leiden University). Hubble spied CR7 at 1 billion years after the Big Bang. “Whatever is driving this source is very hot — hot enough to ionize helium,” Smith said. Bromm agreed. “You need it to be 100,000 degrees Celsius — very hot, a very hard UV source” for that to happen, he said. “We developed a novel code,” Smith said, explaining that his code modelled the system differently than previous simulations. “The old models were like a snapshot; this one is like a movie,” he explained. The type of modelling Smith used is called “radiation hydrodynamics,” Bromm said. “It’s the most expensive approach in terms of computer processing power.” The new code paid off, though. The star cluster scenario “spectacularly failed,” Smith said, while the direct collapse black hole model performed well. In addition to Smith, Bromm, and Loeb’s work, NASA recently announced the discovery of two additional direct-collapse black hole candidates based on observations with the Chandra X-ray Observatory. It seems astronomers are “converging on this model,” for solving the quasar seed problem, Smith said.